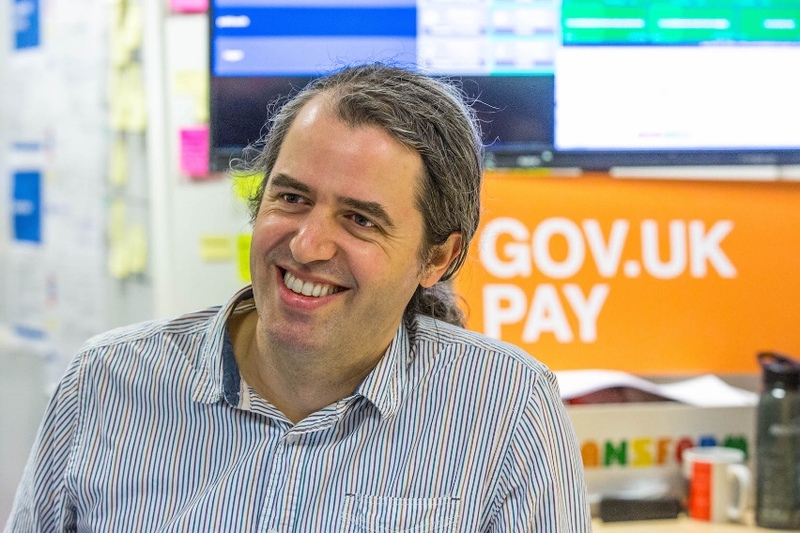 David Heath, Tech Lead and Senior Developer on GOV.UK Pay gives an insight into his 5 years at Government Digital Service. How long have you been at GDS? I joined GDS when it started in 2011. So, what did GDS look like 5 years ago? We were 30 people in a back room of Hercules House in Lambeth, a mixture of content designers, developers, and UX specialists focused on building out the Beta of GOV.UK. I was one of the developers working on the back end and technical design of the publishing platform. There was an energised, collaborative and purposeful atmosphere. I was particularly impressed by the big wall of user needs, a clear reminder of the goal the team had set itself, dedicated to putting users first. What attracted you to GDS back then? I’ve always wanted to use my skills to make a difference and improve the world and in my career I’ve generally chosen roles that allow me to do that. 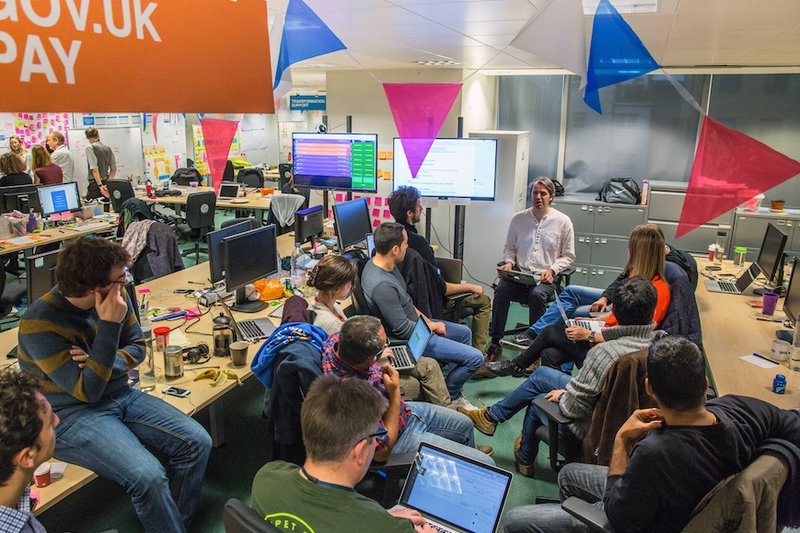 Delivering GOV.UK was a great opportunitiy to do something exciting and radical. Shipping the Inside Gov Project back in 2012. 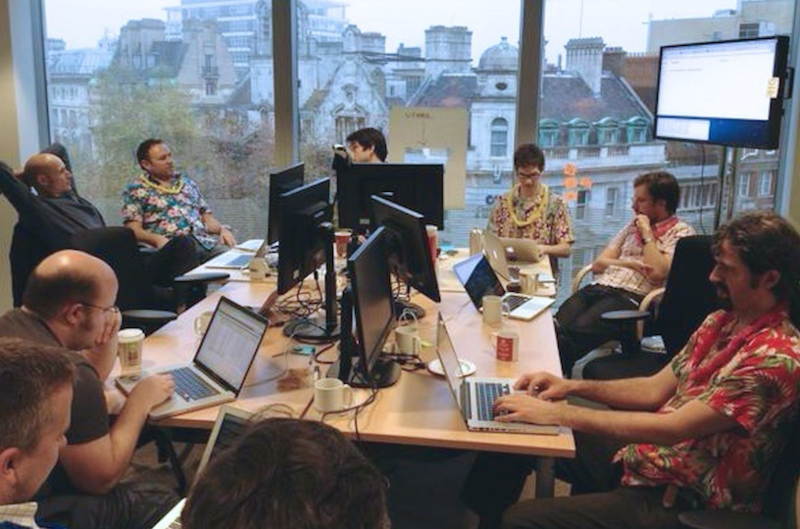 We migrated the websites of 25 departments over to GOV.UK in four months. It was crazy but we did it! GDS started as a small bunch of passionate people trying to change the world. Now our team is a lot bigger and the scope of our activities has expanded beyond GOV.UK but we have retained that passion. What about your life at GDS now? I like the scale of the mission, the technical challenges, the people I work with. I’m really enjoying my new role as Tech Lead on GOV.UK Pay. I can bring my experience of different ways of working and promote collaboration and trust which are at the core of what GDS does. What have you learnt at GDS? Before joining GDS I mainly worked in smaller organisations of 20-30 people. Building something of the scale of GDS was something I’d never done before. Working at GDS has given me the opportunity to develop skills in the design of very large scale systems. But perhaps the most important lesson I’ve learned is that everything we do is made by people. Under pressure it’s easy to focus only on the product or technical concerns. Positive relationships, collaboration and kindness are essential. What made you stay at GDS? Believing this is a once in a lifetime opportunity to change things for the better in our country. I don’t think there’s anywhere else I could have such an impact on such scale. Have you had a chance to work with other departments? I’ve always been interested in the wider strategy and in the last 18 months I’ve had a chance to be involved in some projects that touch wider aspects of what GDS is doing. I worked on a project called Civil Service Digital looking at improving the internal tools and services across government. With regards to the culture at GDS, what comes to mind? Dedication to making things better for our users, and a willingness to challenge things which stand in the way of that. Also, we’ve placed more explicit emphasis on valuing diversity over the last years and that has been a really positive shift. Creating an environment where everyone can thrive is an explicit goal that is shared by everyone in GDS including the senior management team. How do see GDS evolve in the future? Martha Lane-Fox talked about a wave of inevitability that engendered GDS. People tried to do something like GDS for years and then the stars aligned and that opportunity was seized. I believe GDS will continue to be a centre of excellence for digital specialists in technology, service design, content, user research and user-centred design and transformation. GDS is really the custodian of those professions and I believe it will continue to invest in that expertise. What piece of advice would you give to someone who wants to work at GDS? If you share our dedication to making things better for the public then there will be something you can do here! Don’t underestimate yourself. We value diversity. We hold ourselves to a high standard but we do it together. Don’t be afraid to reach out with questions, we’re a friendly bunch. How did you become a developer? I’ve played with computers since I was a kid. My father bought a BBC Micro when I was 7 and I taught myself to program, spending hours tinkering and experimenting. I was inspired by the story of Acorn, and I thought ‘maybe I could do that one day.’ By the time I finished A’ Levels I had done quite a bit of programming. I went on to study Computer Science at Cambridge University. It was a great experience to learn cutting edge ideas about computing, although I found some of the courses a bit too theoretical! Solving the right problem is the hardest part for a project team. It’s often so tempting to dive into solutions before the problem has really been understood. That’s why GDS recommends a discovery phase to build up a rich picture of user needs and the problem domain. Once the problem is well understood, designing and developing solutions is much easier. As a Developer and Tech Lead, the thing I find hardest is balancing long-term and short-term delivery speed. To maintain speed in the long term you need to invest in software quality, tooling and learning, but sometimes short term speed is more important. If you weren’t a developer what would you be? A musician. I used to play guitar in a lot of bands as a teenager. I seriously considered a career in music. I play the accordion... I lived in France for a year in 2007 and discovered a world of folk music and dance. I love it. It brings people of all ages and backgrounds together which doesn’t happen so much in the UK.